To your presence in our midst. For you are where we are. A delicious bite that brings pause. You are not out of reach. Is all that we need. The gifts we encounter are enough. Enough to change the world. 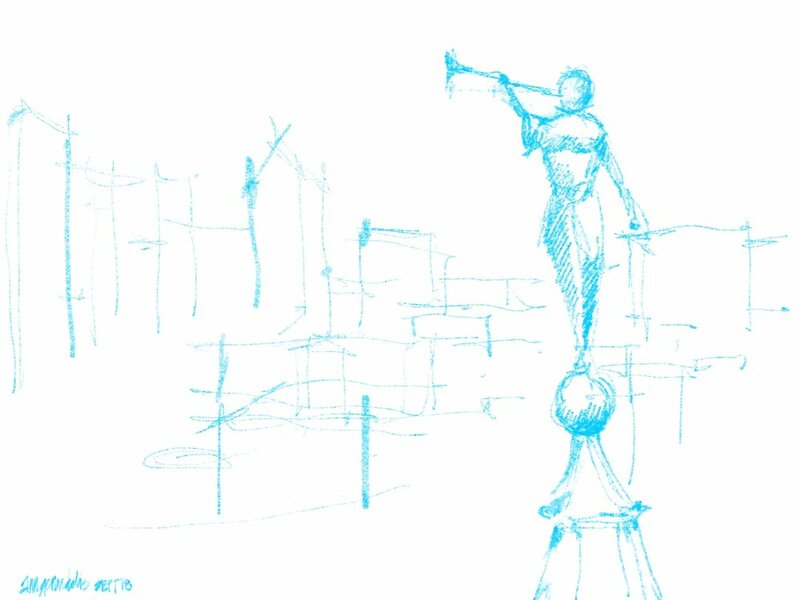 Today’s quick sketch captures a daily sight out of my urban living room window. I like to imagine the angel atop the temple not reminding the people of a holy event yet to come, but to remind all of us that here in this place, in this city, under this bit of the sky, that today, we have gifts aplenty. And if, we open ourselves to recognize them, and are generous enough to share them, our collective gifts can indeed change the world.